October 15 Past, Present, Forward... — Opening Heart Mindfulness Community | Washington D.C. 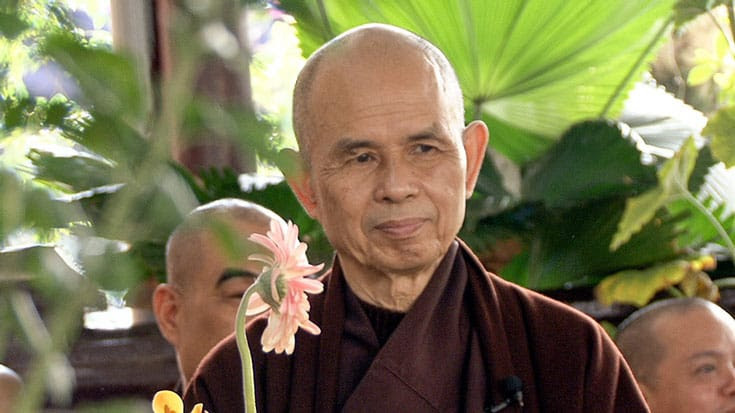 This past Thursday October 12 was the 92nd birthday/continuation day of Thich Nhat Hanh, aka Thay. On this day I was moved to reflect on Thay's teachings and life and how they have impacted my life. Thay's teachings and reminders have been a guiding source in my life for over 20 years. Driving to work on Thursday and listening to one of his talks I felt refreshed and energized in experiencing that just like the breath and the body, the teachings are something that are always there for us whenever we are ready to step out of the mind and into the present moment. We always have the capacity to pause, to stop and breathe and take care of ourselves. One of the greatest fruits of the practice for me over the years has been the practice of learning to be with strong or challenging feelings. The simple, yet powerful practice of mindful breathing can help us to be stable in midst of turmoil. Even if the emotions do not go away, we can notice and observe the nature of the feeling and how it is moving through our mind and body. The mind is the top of the tree, so don't dwell there; bring your mind down to the trunk. The abdomen is the trunk, so stick to it, practice mindful, deep breathing, and after that the emotion will pass. When you have survived one emotion, you know that next time a strong emotion arises, you will survive again. But don't wait for the next strong emotion to practice. It is important that you practice deep, mindful breathing every day. On Thay's Continuation Day I reflected on how the practice of mindfulness has shaped my life in the past, and the present. I also thought about how I want to continue to live and practice and share Thay's teachings. Being with strong feelings is just one of the teachings/practices that stood out for me. In coming together on Monday we can share on this practice and also take time to reflect and share on how Thay's teachings have influenced you in the past, the present and how you would like to continue into the future. Please find the link for the full article with an update on Thay's health. Also, you can go here to find the text for Planting Seeds: Practicing Mindfulness with Children by Thich Nhat Hanh, the source of all the quotes and belly breathing below.